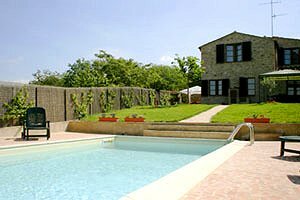 Our agency, specialised in renting holiday villas in Tuscany , presents a wide range of villas in the Crete Senesi region. 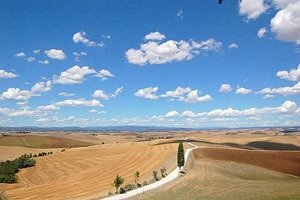 A strip of land stretching between the provinces of Arezzo and Siena, the Crete Senese region presents a bare landscape characterised by calanchi and biancane badlands. In the Middle Ages this area was called "Accona" desert. 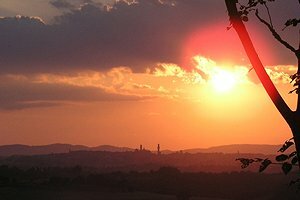 To many turists its particular beauty recalls the photos of lunar landscapes. 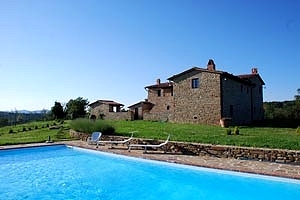 Are you looking for a villa in the Crete Senesi ? You can choose among numerous structures situated in Rapolano Terme, Asciano, Monteroni d`Arbia, Buonconvento and San Giovanni d`Asso. You will find cottages and farmhouses that have been carefully renovated and provided with all comforts (satellite TV, wi-fi Internet connection, equipped kitchen, private swimming pool, etc.). 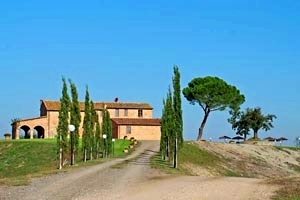 A villa in the Crete Senesi is an excellent solution if you fancy food-and-wine tourism. 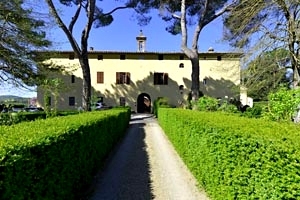 You will have the opportunity to do short excursions at the research of the famous "Pecorino di Pienza", of the reputable "Brunello di Montalcino" and of the typical "pici" (a sort of hand-made spaghetti, excellent with a game or tomato-and-garlic sauce). Last but not least : Crete Senesi is synonym with truffle (San Giovanni d`Asso has even dedicated a museum to this tuberous root). So, what are you waiting for? 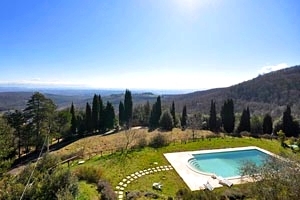 In this page you will find a list of villas in the Crete Senesi situated in the five municipalities into which this picturesque corner of southern Tuscany is divided .